Mutianyu Great Wall (慕田峪长城), 79 km northeast of Beijing, a good hiking place! Mutianyu Great Wall is connected with Juyongguan Pass in the west and Gubeikou Gateway in the east. The wall was first built in Northern Qi Dynasty (550-557). Hence, the wall has a history of over 1400 years. In Ming Dynasty (1368-1644), Tan Lun and Qi Jiguang, two famous patriotic generals, rebuilt it in order to strengthen its defensive potential. It served as the northern protective screen, guarding the capital and imperial mausoleums for generations. The Great Wall can be roughly classified as the main wall and branch wall. Mutianyu Section belongs to be the branch wall. Each side of it could have been attacked, so battlements were built on both sides to intensify the defense of the main wall. 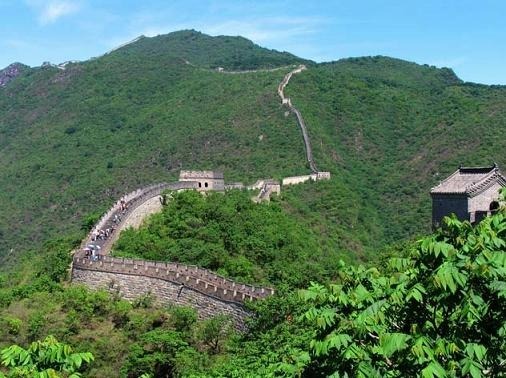 The wall, which stands seven to eight meters (23-26 feet) high and 4 to 5 meters wide, is mainly made of slabs of granite, which make it extremely strong. Because of its strategic military importance, the Mutianyu Great Wall has 22 watchtowers built at almost 100 meter intervals. This number of towers is much more than what would be expected along the Wall and is also highlighted by the particular form and structure. The Mutianyu Great Wall is also famous for the breath-taking beautiful scenery. The wall presents different aspects of beauty in the four seasons. Flowers bloom all over the mountains in spring. Grasses dress the hillside green in summer. Trees are laden with sweet fruits in autumn, and especially in October, leaves are turning red or yellow, touching the mountain tops with gold. In winter, the wall is covered by snow, making it seem more magnificent. A cable car is available to help visitors. 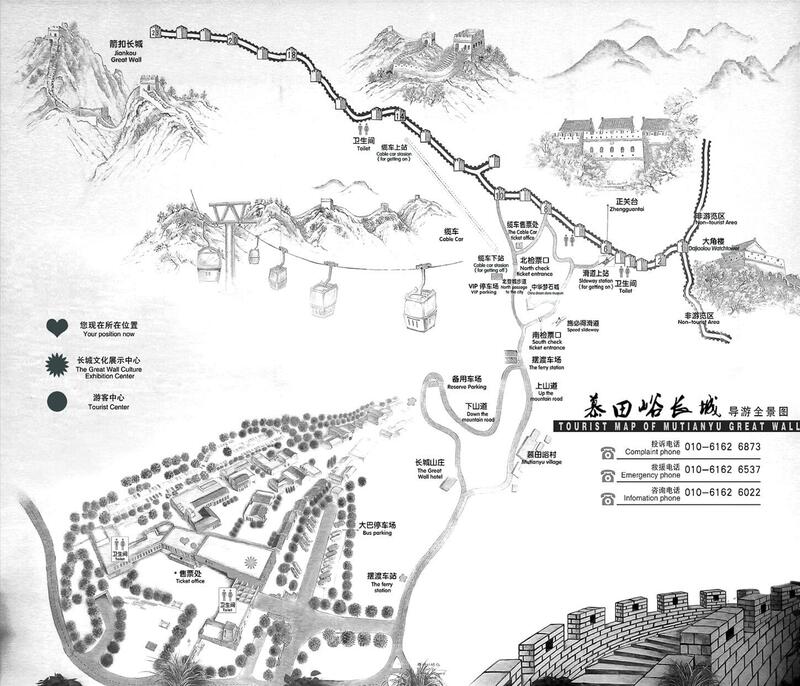 Another feature of the wall at Mutianyu is the wheeled toboggan ride down from the wall on a winding metal track. 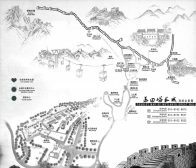 From Jan 1, 2015, all tourist buses can not stop at the parking lot at foot of the Mutianyu Great Wall but have to stop at a new parking lot a few KMs away from the entrance gate. All visitors need to take shuttle bus to the tourist spot and the round way shuttle bus ticket is RMB15 per person, which is not included in the tour price.